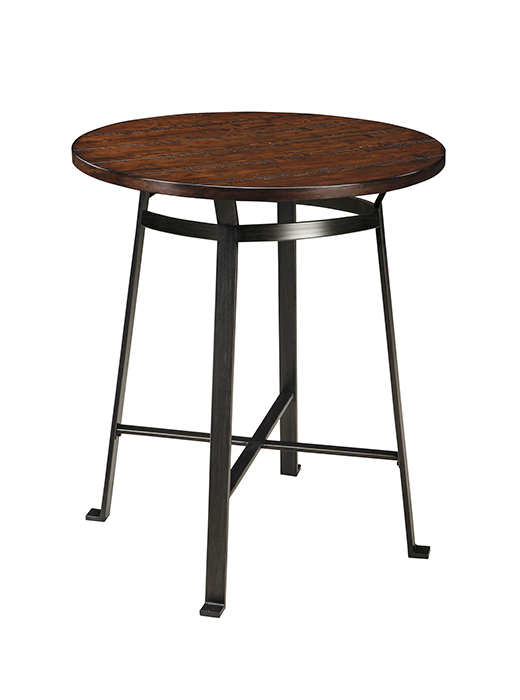 A rich rustic round Bar Height Table with a nice casual look. Plank design table with rough sawn details and a bar shaped metal base in a dark bronze color finish. 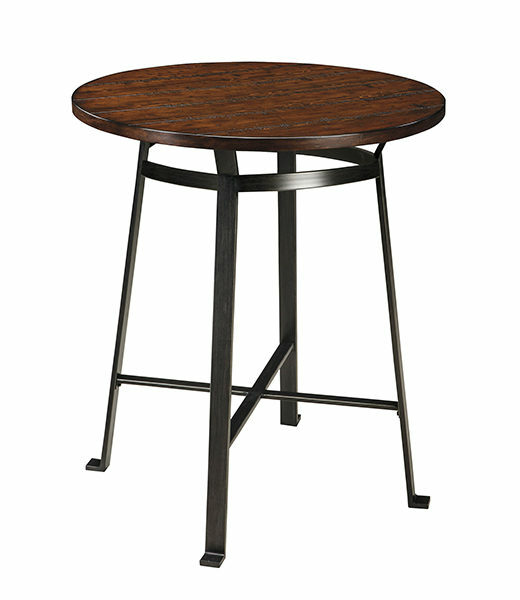 Description: A rich rustic round Bar Height Table with a nice casual look. Plank design table with rough sawn details and a bar shaped metal base in a dark bronze color finish. We sell extra stools separately.